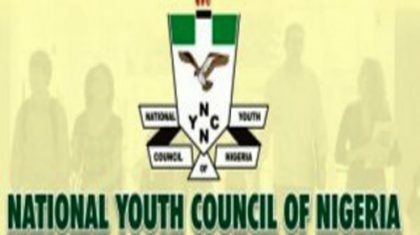 The National Youth Council of Nigeria (NYCN), Kogi chapter, says it has concluded plan to mobilise 1,000 youth volunteers in the state to complement government’s efforts in tackling flooding in riverine areas. A statement by NYCN Chairman in Lokoja, Mr Oladele Nihi, on Monday said the idea was also to raise volunteers through the local government chapters of the council. According to him, the volunteers are expected to work with National Emergency Management Agency (NEMA) and Kogi Ministry of Environment. Nihi also said that the volunteers would assist in carrying out grassroots sensitisation and environmental sanitation and clear blocked drainage systems. He said the volunteers would also create alternative routes for water to flow and do other tasks that might be deemed fit by the ministry. “The National Youth Council of Nigeria (NYCN), Kogi chapter wish to use this avenue to sympathise with the people of the state, most especially those affected by the recent flash flooding. “We also wish to commend NEMA, SEMA and the state Ministry of Environment for their tireless efforts in contending with this giant monster that we face at this time. “It is our belief that volunteers will complement the effort of NEMA and Ministry of Environment by taking the advocacy to the grassroots and help the communities to do the needful. “We hope that the ministry will provide them with the necessary tools to carry out this job. “We are enthusiastic that this little effort of the Youth Council will help to avert the imminent flooding or worst still, mitigate the suffering of our people, as we endure this trying time,” Nihi said. He called on youths in the state, irrespective of their locations, to join the advocacy and render assistance wherever they could. “As a council, we believe in the saying that ‘Health is Wealth’, and a healthy life can only be guaranteed through a clean and safe environment”. The News Agency of Nigeria (NAN) reports that Lokoja witnessed flash flooding on Thursday in Lokoja and some other parts of the state such as, Ajaokuta, Koto Karfe and Omala Local Government Areas.